The Strategic Plan and website was launched by EU Ambassador Jacobs and PIPSO Chair Howard Politini. 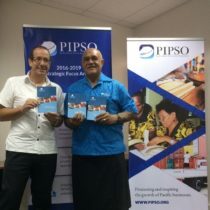 PIPSO is pleased to announce it will be launching its 2016-2019 Strategic Plan, and revamped website on 29 November 2016, in Suva, Fiji. The sun sets in Noumea as Day One of the Pacific Business Forum drew to a close after a full day of presentations and targeted business meetings. The 2nd Pacific Agribusiness Forum held in Apia, Samoa, from 29 August to 1 September organised by the Pacific Islands Private Sector Organisation (PIPSO), the Technical Centre for Agricultural and Rural Cooperation (CTA), the International Fund for Agricultural Development (IFAD), and supported by key regional partners, has not only identified pressing challenges but mostly opportunities and creative solutions focused on the development, partnerships and strengthening of linkages within the agriculture, agritourism, health, education and finance sectors. Some 100 experts from the private sector, farmers’ organizations, research networks, and international organizations as well as policy makers and development practitioners will converge here for a four-day session to identify opportunities for fortifying sustainable food systems in the Pacific and form multi-sectoral linkages and strategic alliances for doing so. 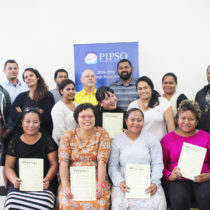 The Pacific Islands Private Sector Organisation (PIPSO) has signed a Memorandum of Understanding (MOU) with the Pacific Business Investment Facility (BIF) to support collaborative efforts in supporting the growth of business development in the Pacific, particularly with small and medium enterprises (SMEs). Several Pacific businesses have started making their way to the Caribbean to attend the first ever Caribbean-Pacific AgriFood Forum to be held from the 2-6 November 2015 in Bridgetown, Barbados. A one day symposium for Fiji Agribusiness Exporters is being held this week in Lautoka by the Ministry of Agriculture to gather information on the constraints and challenges faced by exporters. The Pacific Islands Private Sector Organization is pleased to announce the inclusion of the American Samoa Chamber of Commerce as its newest member. At the Pacific Islands Private Sector Organisation 9th Annual General Meeting in Nadi, Fiji, Tuala Pat Leota, President of the Samoa Chamber of Commerce and Industry presented a USD $2000.00 donation to the Vanuatu Chamber of Commerce and Industry (VCCI). 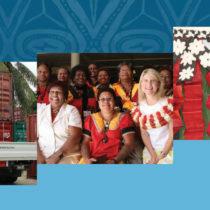 Over 150 women representing business, government and community development from throughout the Pacific will converge at the Sheraton Hotel in Nadi on Wednesday this week, to participate in the 2nd Pacific Women in Business (PWIB) Conference. Today the Pacific Islands Private Sector Organisation (PIPSO) signed a partnership agreement with the Westpac Banking Corporation (Westpac), which has come on board as the Gold Sponsor for the second Pacific Women in Business Conference. 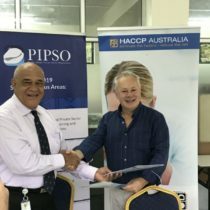 A new partnership between the Pacific Island Private Sector Organisation (PIPSO) and the Technical Centre for Agricultural and Rural Cooperation (CTA) is set to strengthen the agri-food systems in the Pacific by supporting agribusiness development and transformative partnerships. The Regional Cluster Initiative Project was funded by Business Climate Facility (BizClim), a programme of the European Union and the ACP Secretariat, funded through the 10th EDF (European Development Fund). The project was allocated €932,000 for the four countries. 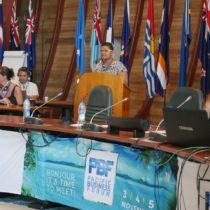 The Pacific Islands Private Sector Organisation (PIPSO) was the beneficiary for the project, and had facilitated the initiative in 2012. The project implementation involved in-country workshops bringing stakeholders together to identify priorities, establish an interim cluster team led by business, and agreeing on a forward agenda. The country workshops brought businesses together, as well as representatives from government and academia (from local technical colleges and universities).